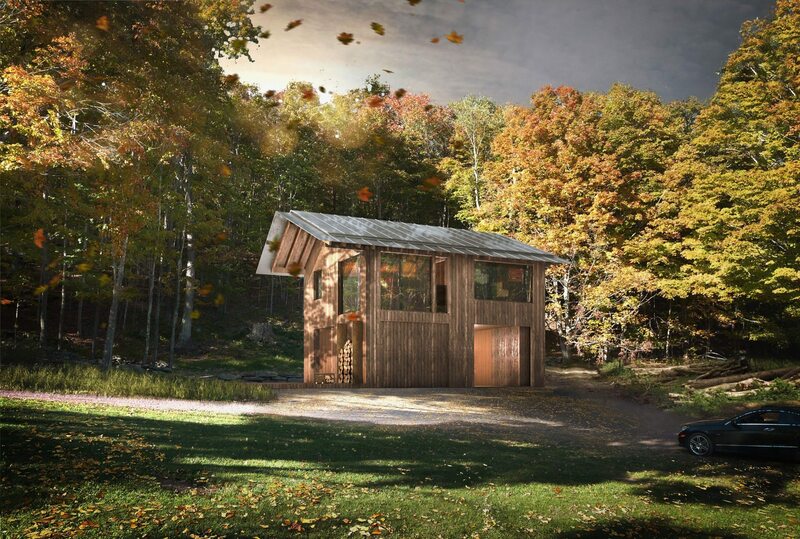 We have designed a bespoke timber frame lodge for a private client in the Catskill Mountains, upstate New York. The building is intended as additional guest accommodation to the main house. The brief called for a two-bedroom annex with space on the lower ground floor for two cars. 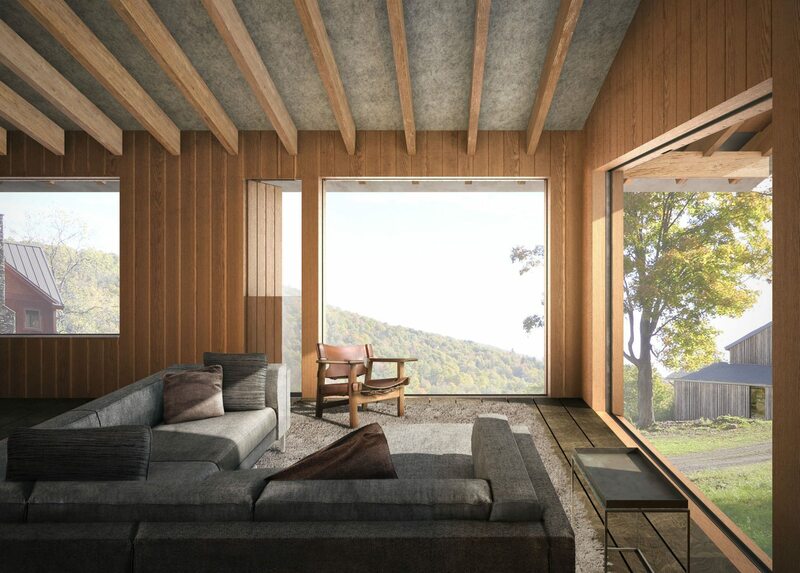 Clad in rough-cut hemlock, the lodge blends seamlessly into its rural surroundings. Internal finishes include ceramic floor tiles with underfloor heating, red oak-clad internal walls and large frameless glass windows.